TUESDAY, Sept. 18, 2018 (HealthDay News) — For high-risk patients with implantable cardioverter-defibrillators (ICDs), ranolazine does not significantly reduce the risk of ventricular tachycardia (VT) or ventricular fibrillation (VF) requiring appropriate ICD therapy, or death, according to a study published in the Aug. 7 issue of the Journal of the American College of Cardiology. Wojciech Zareba, M.D., Ph.D., from the University of Rochester Medical Center in New York, and colleagues randomized high-risk ICD patients with ischemic or nonischemic cardiomyopathy to 1,000 mg ranolazine twice daily (510 patients) or placebo (502 patients). The researchers found that 37 percent of patients experienced the primary end point (VT or VF requiring appropriate ICD therapy, or death). In 39.6 percent of patients receiving placebo and 49.6 percent of patients receiving ranolazine, the blinded study drug was discontinued (P = 0.001). For ranolazine versus placebo, the hazard ratio was 0.84 (95 percent confidence interval, 0.67 to 1.05; P = 0.117) for VT, VF, or death. Patients randomized to ranolazine had a marginally significant lower risk of ICD therapies for recurrent VT or VF in a pre-specified secondary analysis (hazard ratio, 0.7; 95 percent confidence interval, 0.51 to 0.96; P = 0.028). 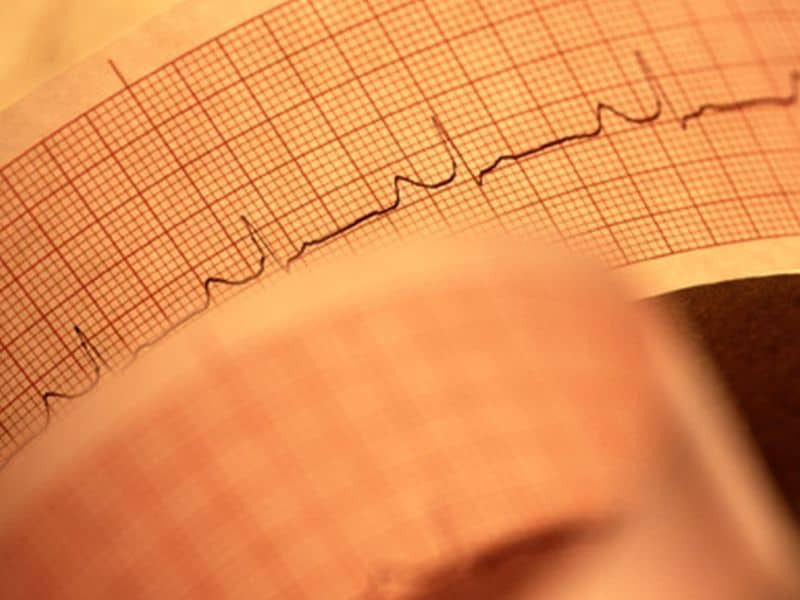 “Ranolazine did not significantly reduce the incidence of the first VT or VF, or death. However, the study was underpowered to detect a difference in the primary end point,” the authors write. Several authors disclosed financial ties to pharmaceutical companies, including Gilead Sciences, which manufactures ranolazine and provided funding for the study.